Eat Healthy, Do it Yourself, Live Well, Have Fun. I’m so glad you stopped by today! Be sure to follow A Pinch of Joy so you don’t miss a thing! Subscribe by email on the sidebar or follow on Facebook, RSS feed, bloglovin’ twitter and check out my pinterest boards. If you found this helpful or inspiring please share below! Your support of A Pinch of Joy is appreciated! 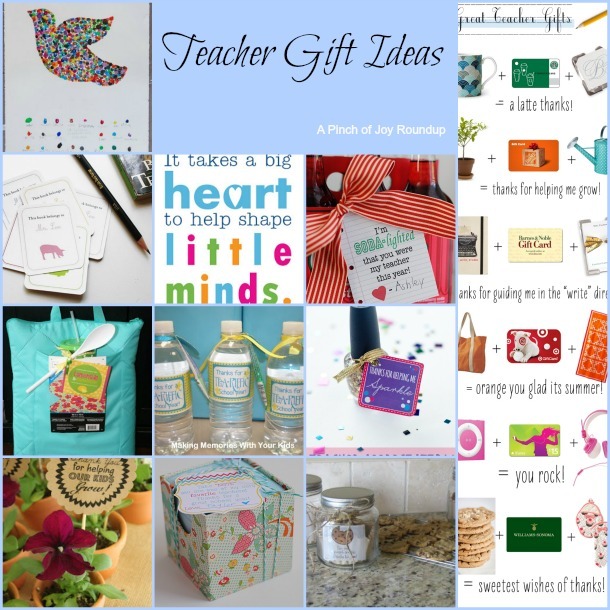 Thanks so much for adding our Tea-riffic year water bottles to your line up of fun teacher gift ideas!!! Welcome! I’m Charlene. I love to share quick and easy recipes, whatever I’ve learned in our last DIY project – anything that helps make life easier, better and more fun!! I hope you will find inspiration and add a pinch of joy to your day! The photos and text posted on A Pinch of Joy are protected by copyright. Please feel free to share one unaltered photo per post with credit to A Pinch of Joy and a link to the specific blog post. If you want to share any part of the text, whether in part or in full, please contact me before doing so. Thanks!